Probably Jeju’s most famous food, black pork is widely believed to be more delicious than regular pork. Restaurants serving this can be found everywhere and you can tell which ones are the best by how busy they get at the weekend. 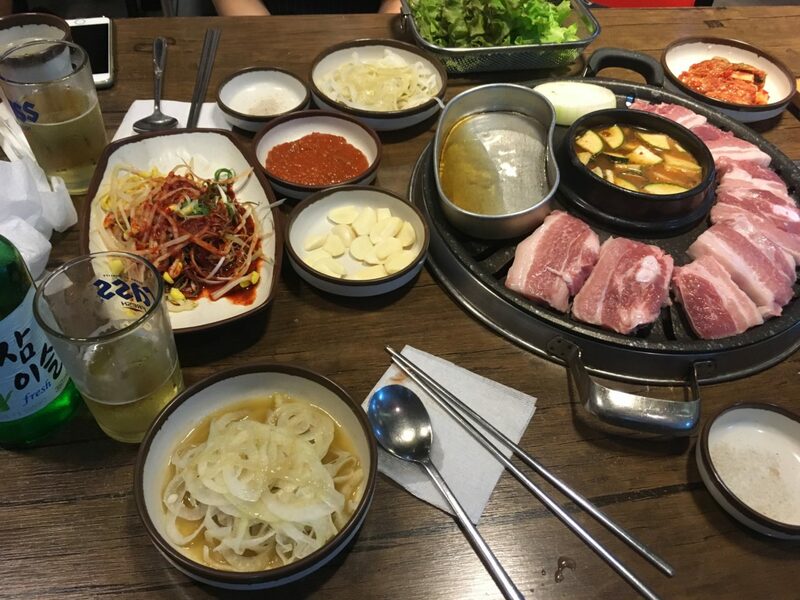 On a Friday or Saturday night, these Korean BBQ restaurants are packed with people looking to get their weekend started on a tasty note. The dish is so popular it’s even got its own street, aptly named ‘Black Pork Street’. Check it out on the weekend to experience the best of the BBQ atmosphere. Jeju’s meat noodles or gogi guksu can only be found on the island. Consisting of noodles and black pork served in a broth, it is soothing and warming on a cold, rainy day. 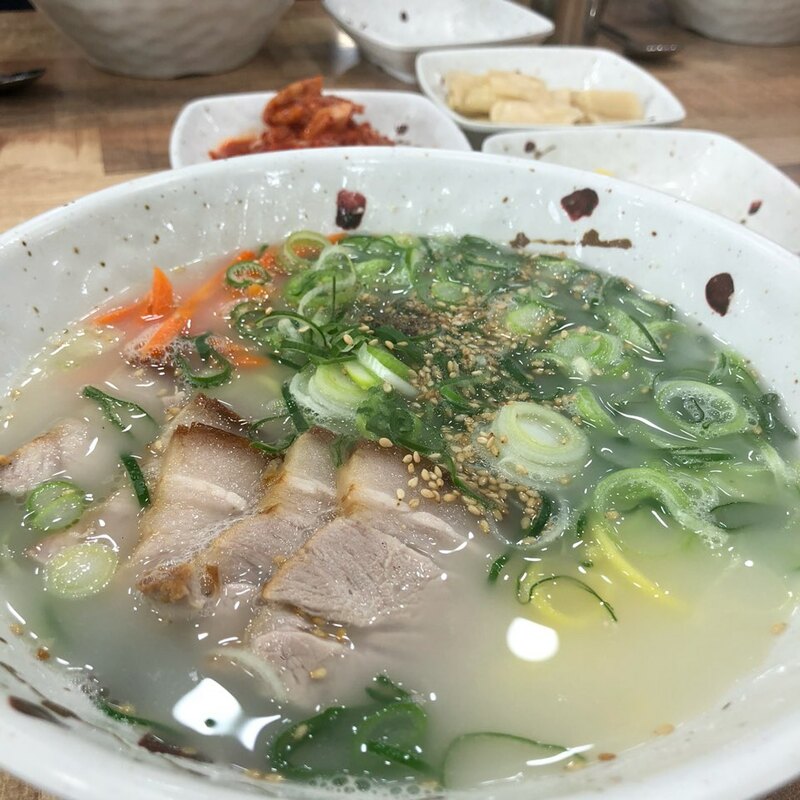 Take a trip to Jeju City’s ‘Noodle Street’ to find some of the best gogi guksu restaurants. It also goes pretty well with some Jeju Makgeolli! 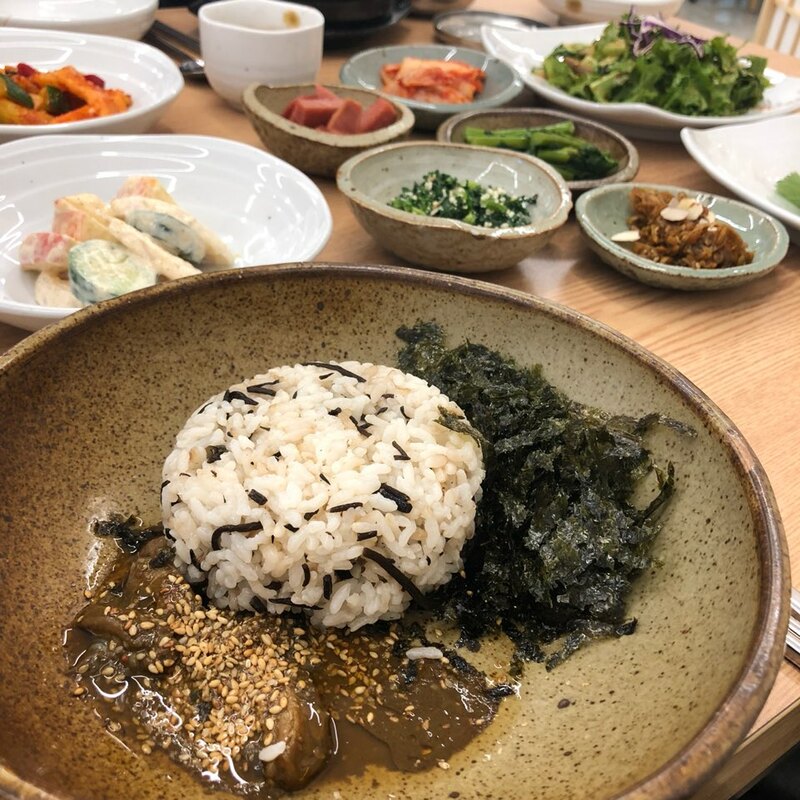 Obviously this isn’t a traditional Korean food, but being surrounded by the sea, Jeju has some amazing fresh seafood and there are many great sushi restaurants to be found near the coast, serving the freshest catches of the day. 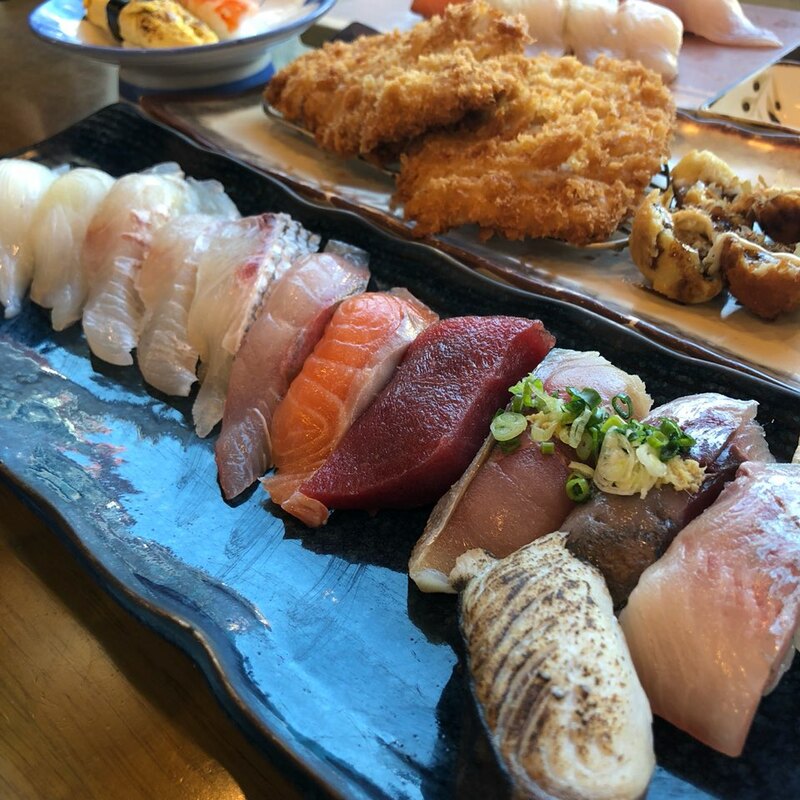 If sashimi (hoe) is more your thing, there is a dedicated ‘Raw Fish Restaurant Street’ near the port in Jeju City where you can eat some of the freshest sashimi and a whole variety of different seafood dishes. 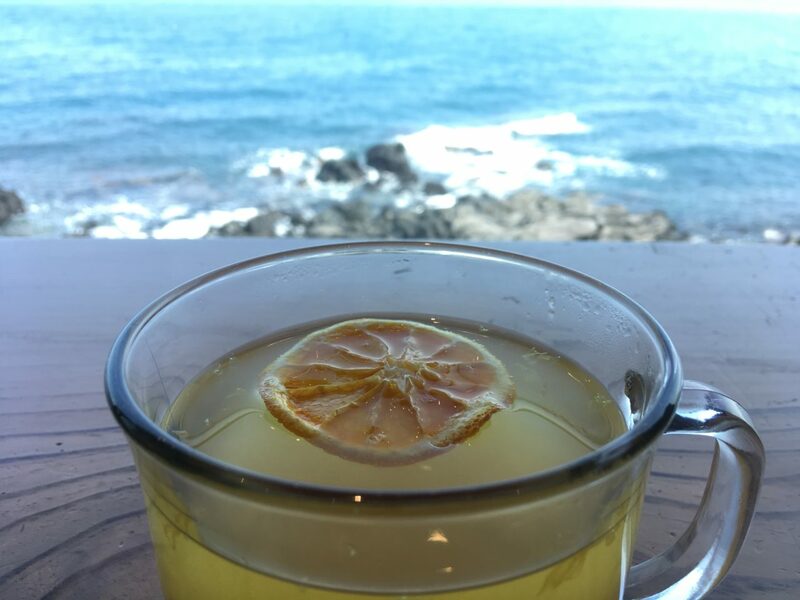 This is another Jeju speciality. 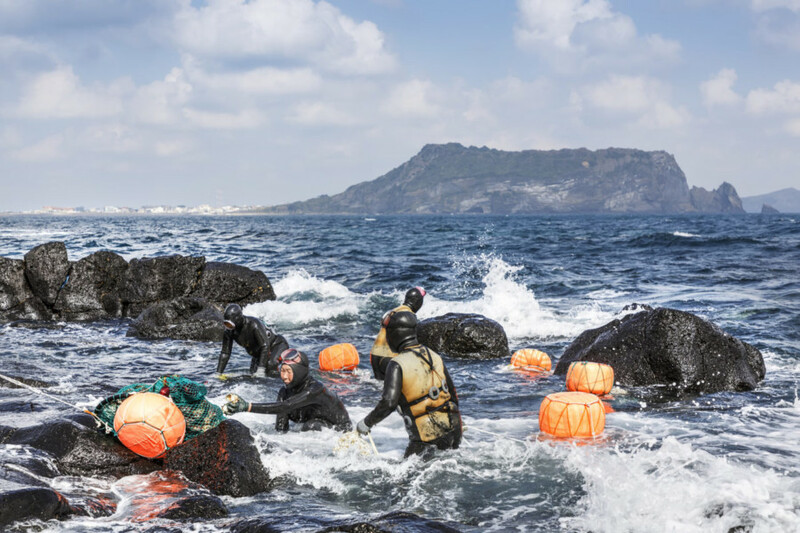 Traditionally caught by hand by Jeju’s famous woman free-divers, Haenyeo, abalone comes prepared in a few different ways. Among the most popular are abalone rice porridge (jeonbokjuk) and abalone served in a rice hot pot (jeonbok ttukbaegi), both very hearty and warming. You can find plenty of restaurants in the coastal towns of Jeju serving fresh, hand-caught abalone. Alongside black pork, Jeju’s tangerines are one of its most famous exports. Driving through the island in the winter, you can see fields and fields of tangerine trees waiting to be picked. They’ve played an important part in the history of Korea and are quite regularly given as gifts. I’ve even had tangerines given to me by complete strangers in public before! There are a few varieties grown in Jeju. 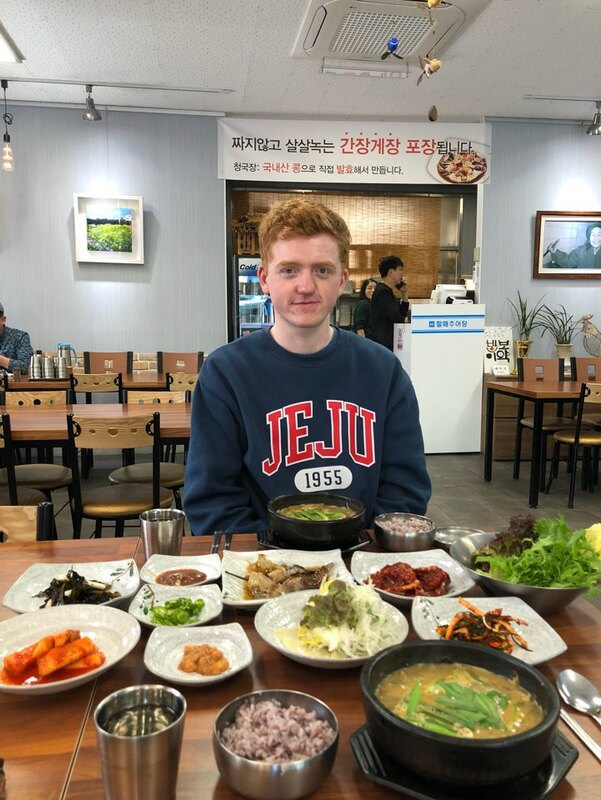 If you’re here in the winter, make sure to try Hallabong, named after the mountain. This variety has its own distinctive shape and taste and can be found in many different forms – from drinks to ice creams. Enjoying dinner and lots of banchan (free side dishes)!